Support and Resistance levels are based on the logic of supply and demand. Supply and demand are the fundamental force that moves Price action. You must understand Supply and demand before trading support and resistance levels. When buyers are stronger than the sellers, Price action moves upside. This is Demand in the context of technical analysis. In Support, We Expect Buyers to be stronger than the sellers, which should cause price action to oscillate upside. At Support level- Demand overcomes supply. When Sellers are stronger than the buyers, Price action moves downside. This is Supply in the context of Technical analysis.In Resistance, We Expect Sellers to be stronger than the buyers, which should cause price action to move downside. At Resistance level- Supply overcomes demand. Remember – Support and resistance are not abstract trading rules. They are subjected to the same scrutiny as other trading tools. Nonetheless, support and resistance are fundamental foundation for many price action traders. Few Discretionary traders, search for peculiar Support and resistance levels and refer to them in different names. (Such as Decision points, Swing points etc.) Most of them limit their trading opportunities, only around those levels. Support and resistance are not clear-cut levels. Most traders misunderstand the logic behind support and resistance. But in original terms, Support and resistance are zones. They occur over a series of Price ranges. Normally referred as Swing highs, Swing lows. Swing points are earlier turning points. They’re commonly used by many successful traders, as support and resistance. Hence, both easy and effective method for identifying potential support and resistance levels. In order to maximize your trading edge, focus on major swing highs and swing lows. As you can see the chart, Major swings provides profitable trading opportunities. This is one of the oldest, yet most valid way to find support and resistance levels. Commonly known as Support turning into resistance and Resistance turning into support. Even called as, “Role reversal zones”. Flipped levels, dates back to veterinary technicians, Edwards and Magee. Flipping is an important topic, in the study of support and resistance. When Price breaks through a Support level, it shifts the focus from Buyers to sellers. Sellers in turn defend those levels, which converts previous support to resistance. The same is true for the opposite direction. Flipped levels are Effective for day trading and swing trading strategies. When Price action stagnates at a Particular point, the area becomes a massive trap for other traders. Market participants usually develop cognitive bias, during long periods of congestion. 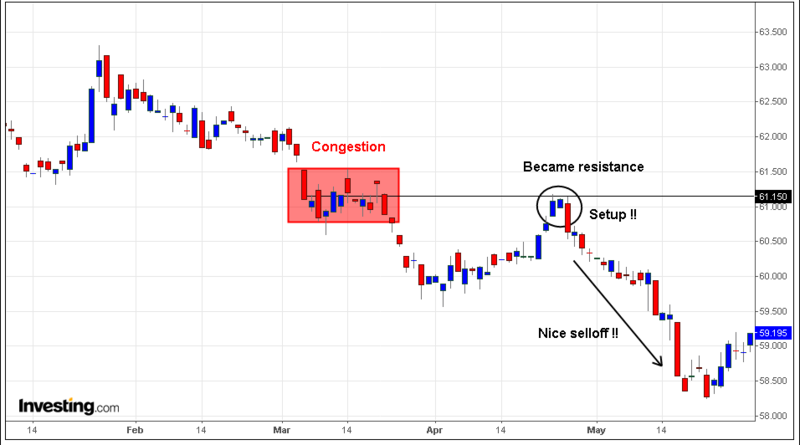 Traders show a range trading habit, inside these zones. These levels, usually has supply and demand imbalance. This is one of the most reliable methods, in identifying highly profitable trading setups. Perhaps, easy and effective way to find support and resistance. Numbers have great significance on the basis of psychology. Number levels such as 00, 50, 100, 1000 etc. Provide high fractional price action opportunities. Human mind usually seeks pattern in randomness. Numbers offer a great way to make sense of financial markets. Round numbers are great examples for this kind of phenomena. Think about Highs, Lows, Open and Close. All are numbers. 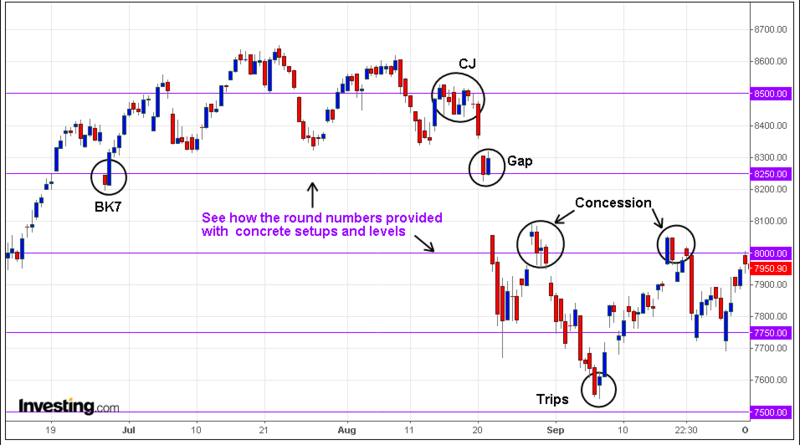 Most of the time they’re round numbers Hence an effective way to find potential support and resistance levels. 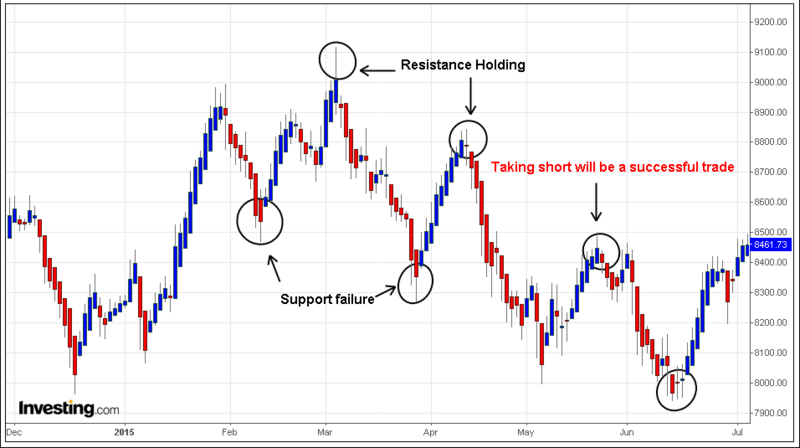 These Methods will help you, stay focused on Important Support and resistance levels. It also provides clarity, by avoiding clumsy lines and unwanted indicators such as pivot points. Retail traders often ignore the value of support and resistance. Trading support and resistance is a skill, not a system. You can’t base your trades purely on the basis of support and resistance. Even though, few traders claim to have an edge with key-levels –they’re not trading only with key levels. It always includes successful Money management, Emotional discipline and trading tactic. Take this into your consideration. Support and resistance are responsive key levels, they contain potential supply and demand imbalance. Due to this fact, Support levels often hold in a Uptrend or Bull market, Resistance levels likely hold in a downtrend or Bear market. Logically, if you notice Resistance levels are holding, you might consider taking only short positions. On the opposite side, if you see support levels are holding, you might consider long positions. Staying in tune with Support and resistance levels is a simple method to find clear Market direction. If you have your own trading strategy, then you can add support and resistance as a framework to filter out bad trades and inappropriate signals based on Price action. However, don’t mess support and resistance with your trading strategy. For example, if your trading strategy or technical system indicates a buy signal, but the Price is at resistance level then, you might want to wait for a breakout or pullback at the resistance. Else you can avoid the trade altogether, if it’s a less profitable one. 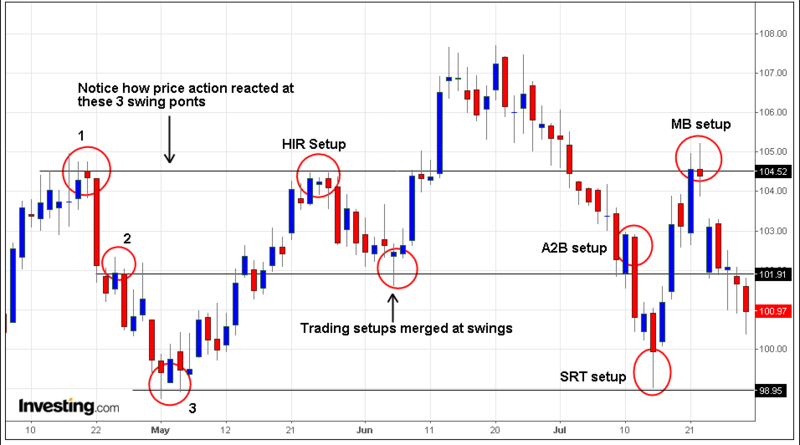 You can find highly profitable trading entries using support and resistance. The best option is to synthesize your trading strategy with support and resistance. For example, you can look for Bullish signals at support levels or Bearish signals at resistance levels. There are multiple ways; we can combine a normal trading strategy with support and resistance to find high profitable entry. Work out and see whats best for you. Support and resistance can act as profit taking and stop loss levels. You can perfectly structure your trades around support and resistance. Even Minor support and resistance levels, will offer concrete place to keep our targets and stops. Placing targets and stops depends on individual trader and their personalities, For example a swing trader normally needs 30-40 points in terms of stop-loss, where a Day trader limits it around 5-10 points. Hence, Swing traders use Major levels to plan their trades and Day traders watch minor levels to book short-term profits. Support and resistance are the building blocks of technical analysis. They’re fundamentally important and useful for all traders. Adapt these important concepts in your trading strategy and you’ll feel a radical shift in your trading performance. 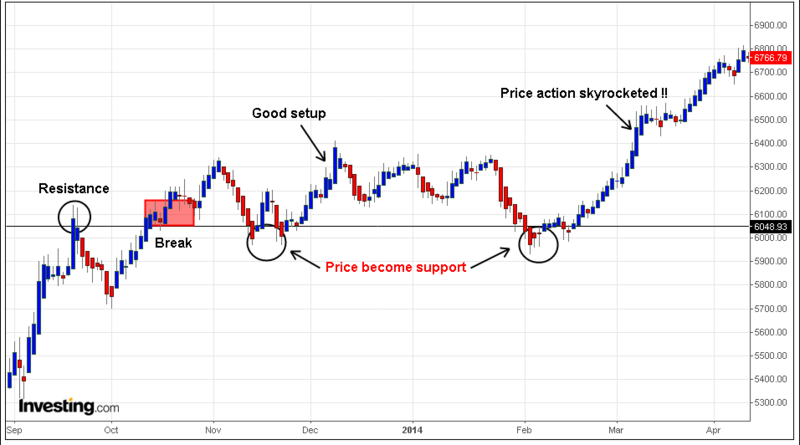 Before considering any trading opportunity – Take a glance at support and resistance. You can make a living by trading around these levels!! !